Approximately 175 million Americans have a checking account. ACH Payments allow you to capture more initiated sales by enabling customers to pay the easiest way—directly through their bank accounts in a safe, secure, and simple process. The Automated Clearinghouse (ACH) is an electronic payment delivery system that processes credit and debit transfers for institutions nationwide. ACH Payments are processed using a customer’s bank account information to deduct funds directly from a checking or savings account to pay for goods or services. 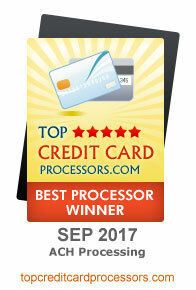 It is a popular and efficient alternative to traditional credit card or paper check processing. Why ACH and eCheck Processing? ACH transactions offer many benefits and advantages over traditional paper checks or credit/debit cards.